Jimmy Kimmel mocked and questioned President Trump’s summit with North Korean leader Kim Jong Un in his monologue Tuesday night. 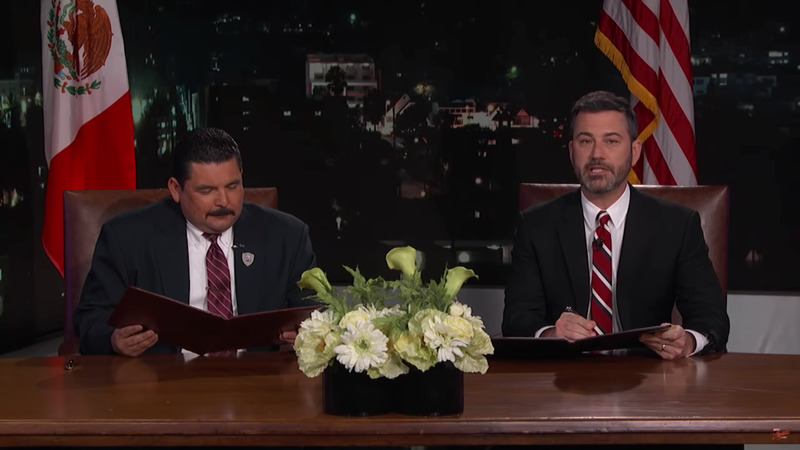 “Usually when Trump signs an agreement with a foreigner, it’s a prenup,” Kimmel joked. Jimmy Kimmel opened his “Jimmy Kimmel Live!” monologue on Tuesday night by laying into President Trump over his summit with North Korean leader Kim Jong Un. Kimmel show personality Guillermo Rodriguez and the host proceeded to sit down for a mock summit to sign their own version of the “friendship agreement” that Trump and Kim signed.